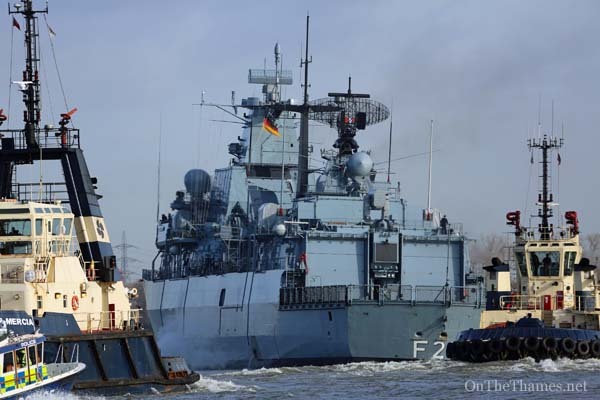 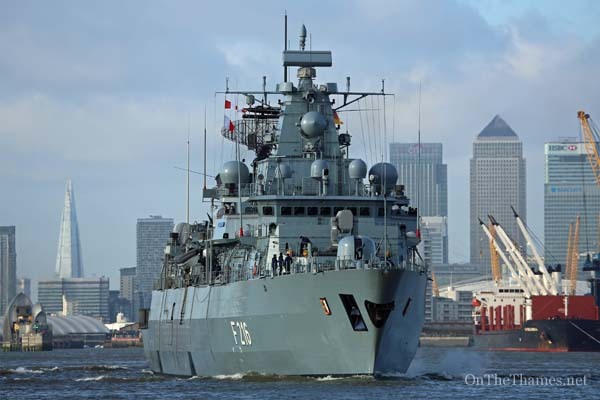 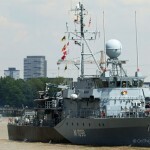 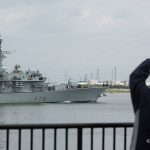 THE GERMAN frigate SCHLESWIG HOLSTEIN departed the capital earlier today. 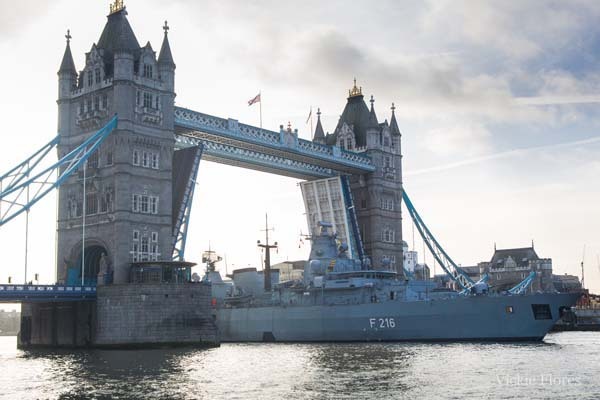 The Brandenburg-class warship had been moored alongside HMS BELFAST since Friday and departed through Tower Bridge this morning at 10.10. 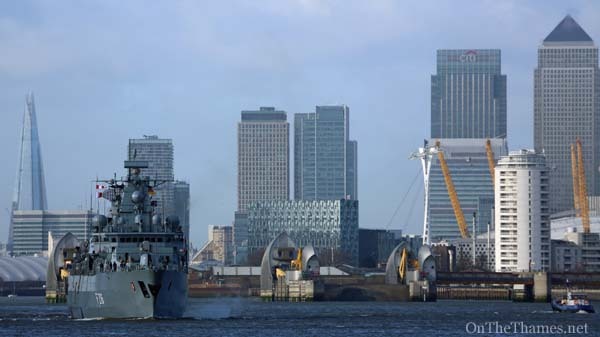 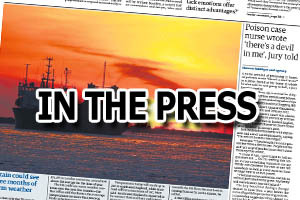 She was the second naval visitor to the Upper Pool of London so far in 2014, following a visit by the Royal Navy's HMS ARGYLL by just a few days. 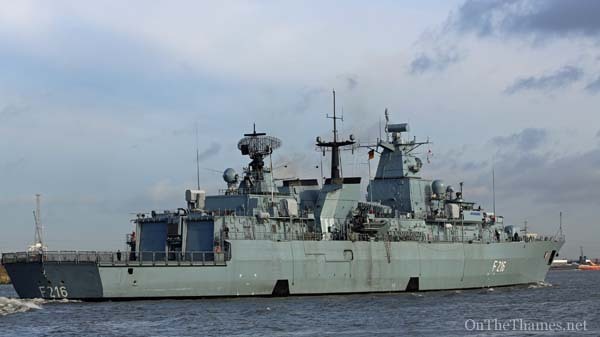 SCHLESWIG-HOLSTEIN will be in service alongside the Royal Navy later this year when she participates in the Cougar 14 deployment. 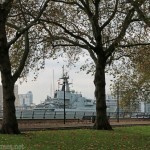 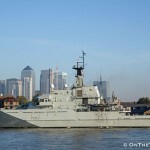 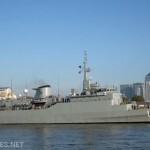 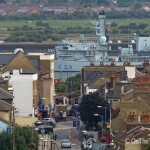 These photos were taken of the frigate as she left London today.